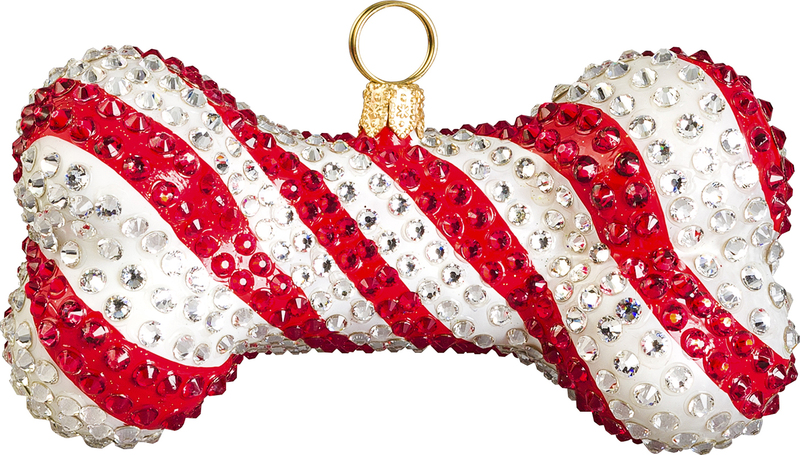 Candy Cane Crystal Encrusted Dog Bone Glass Ornament. The crystal encrusted Candy Cane Dog Ornament is hand made by artists who first create a mold for the ornament, then the glass is blown and hand painted. Our ornaments are made in Europe. The ornament measures approximately 4 inches - such a fabulous ornament for the dog lover! The detail in this ornament is simply beautiful! Delivery Time:Ornaments normally ship within 2-3 days after order.